Spencer Anderson, Engagement Manager at SBI, reviews 10 steps to implementing a highly productive revenue desk. Deal Desks have served an important role for many years. However, there is an emerging best practice to expand the value of the Deal Desk by transforming it into a Revenue Desk. What is a Revenue Desk? A Revenue Desk simply put is a cross-functional leadership team that meets systematically to progress and maximize the value of opportunities currently in the funnel. This group of leaders should include Marketing, Finance, Legal, Engineering, Enablement and sometimes Product. The group meets once or twice a week and reviews the larger deals in the pipeline. These sessions are intended to leverage the full expertise of the leadership team. Decision makers are included to remove barriers earlier in the process. The team also provides strategic insight to maximize the long-term customer value. How do I stand up a Revenue Desk? The approach will is best customized for your business and industry, but here are 10 best practices to get you started. As you read through these best practices we implore you to consider having a complimentary discussion with an SBI sales effectiveness expert on how best to implement these to your unique situation. To set this up, click here. First you will need to sell the Revenue Desk concept internally. A common initial reaction to this concept is it is “too tactical” to pull in functional leaders. To combat this reaction a great discussion point is that few other opportunities will add a minimum of 5% overall efficiency to your sales team. Also, you can multiply 5% x Last 12 months revenue and share this number with them, they will listen. For additional related content, click here. Getting the right team members to participate is critical for success. The team should include Marketing, Finance, Legal, Engineering, Enablement and sometimes Product. Again, this should be customized to your industry and size of company. For smaller companies C-Level may participate, for larger it may be regional representatives, director level decision makers, etc. The cadence is critical and should match your flow of deals. If you have 5-10 new larger opportunities per month then meeting once per week may be due. More than this you may need to meet twice per week. Best to start with weekly and as you show the value you can expand to a great list of deals. Set the expectation that for each function the leader or a decision-making delegate must participate. A systematic and efficient agenda is critical for success. For a sample agenda please refer to this article. The agenda should address specific details for each opportunity including a Win Strategy and overall landscape of the account with competitive information, company objectives, historical data, and proposed solutions. This content is also customizable for industry and sales process. Personas: which buyer personas are involved in the deal? Competitor: Who is the primary competitor, don’t forget this could be “do nothing” or “internal resources”? Problem: What is the business problem the prospect is trying to solve? Plays: Which play(s) are the sales team running? Utilize the answers to these four questions to customize the deal response. Language, benefits, terms, conditions are not set in stone. Ensure the proposals, supporting information and contracts are tailored to the unique business situation. This customization will provide a competitive advantage to competitors who are likely using a one size fits all approach. Typical deal desks are evaluated on basic metrics related to speed and volume. Enhancing the KPIs to better align with sales success can yield great results. A sample of these metrics include: Win Ratio, Deal Size, Upsell/Cross-sell, Profit/margin, Product portfolio utilization. How you measure the Revenue Desk is an organizational indicator of the value and will affect internal perceptions. After many years of mapping deal processes it has become very clear that the large majority of the deal approval time is tracking people down to get their signature. Usually the documents go back and forth several times before getting approved. This burns precious time that the prospect is waiting for an answer or proposal. The majority of time a deal should be approved/denied within the duration of one call. This will usually cut 50-80% of total deal time down. Set the expectation that the majority of deals will be approved in one call, or go to two if more information is needed. This will also further promote the sales team to be prepared with the key information. After many years of doing this one key learning is that contract, proposal, legal, and other related language can be approved in “chunks” and quickly repurposed for similar deals coming through the pipeline. These content chunks should be fully approved and 80% ready to go. This can serve the Revenue Desk team to put together proposals lightning fast through using approved sections and editing the details. This prevents the 100% custom start from scratch for each deal. There are many articles, videos, publications regarding this so I will stay high level here. Contract management software, if implemented well, can create a big lift in efficiency and user experience for the sales team. There are many solutions available of all shapes and sizes. One critical component here is that process is established first, then software to support. Not the other way around. Too many time companies become slaves to the software, and although well intended, end up losing efficiencies. A best practice is to form an expert panel where the Revenue Desk team can meet regularly to collect feedback and discuss ideas for improvement. The expert panel typically consists of sellers and a few marketers. These meetings can be a great value add to stay ahead of trends and ensure the process recipients are getting what they need to be successful. From these meeting often stem some of the most innovative ideas. To assist you in creating your Revenue Desk strategic plan, please download our Revenue Desk Strategic Planning Tool. This tool will assist you in creating and sharing the vision, benefits and operational details of your Revenue Desk. 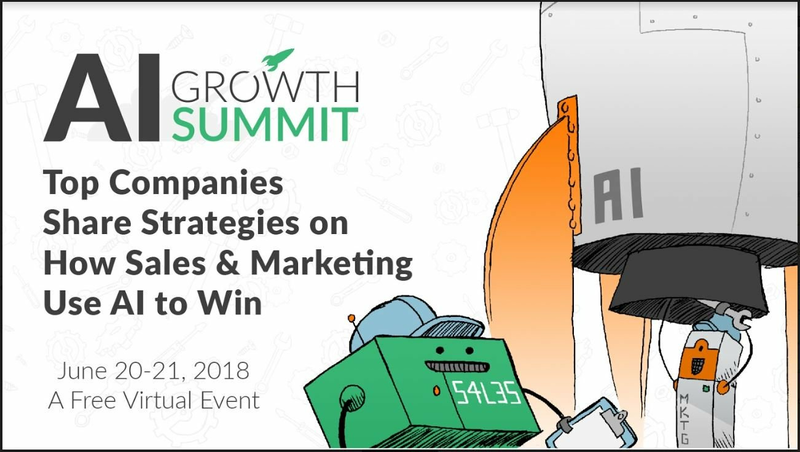 Learn more about how top companies use AI to win at the AI Growth Summit. What Is the Connection Between Setting a Product Vision and Revenue Growth?